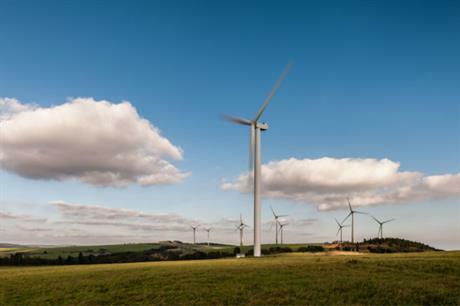 WORLDWIDE: Renewable energy is set to continue falling in price beyond 2020, and will soon be consistently cheaper than most fossil fuels if the right policy and regulatory frameworks are in place, according to a new report. The cost of generating onshore wind has fallen by about a quarter (23%) since 2010, new cost analysis by the International Renewable Energy Agency (Irena) suggests. And costs are likely to continue fall from the global weighted average of $0.06/kWh in 2017 to about $0.05/kWh by 2020, with the best onshore wind projects delivering electricity for an equivalent of $0.03/kWh as early as 2019. 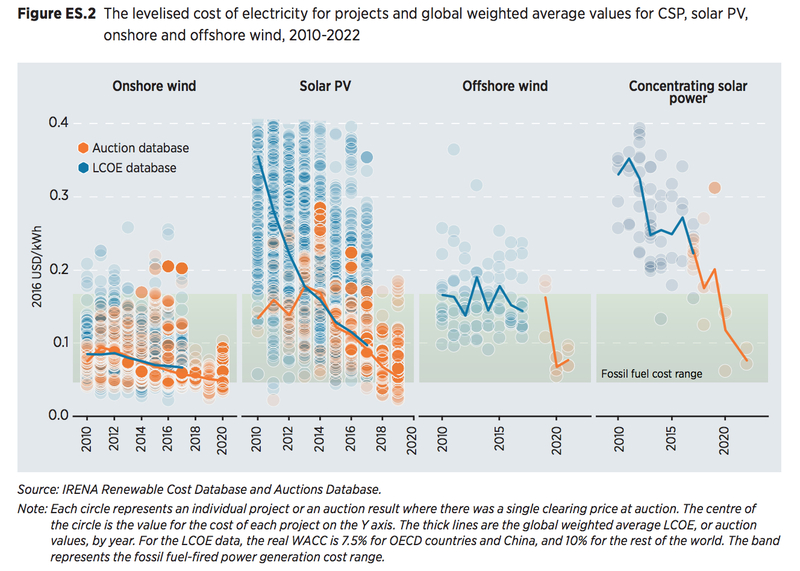 Tumbling prices are also likely to be seen with offshore wind, Irena’s analysts predicted, with 2017’s average cost of $0.14/kWh being cut to between $0.06/kWh and $0.10/kWh by 2020, according to the report, 'Renewable Power Generation Costs in 2017'. Other renewable sources — including bioenergy, geothermal, hydroelectric, and especially solar PV — are also likely to become cheaper and consistently undercut the price of fossil fuels, according to Irena’s report. The fossil fuel-fired power generation cost range for G20 countries in 2017 was estimated to be between $0.05/kWh and $0.17/kWh. 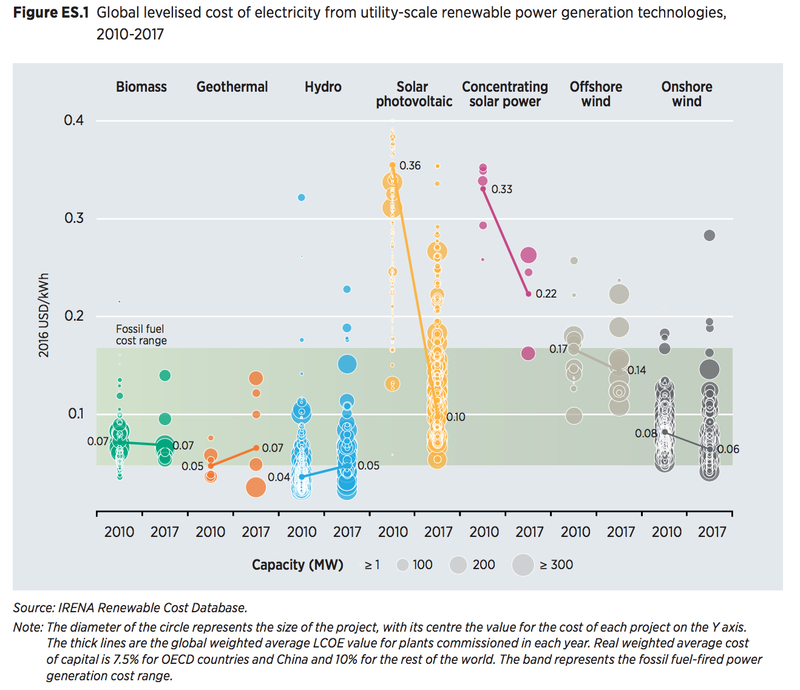 This cost range is consistent in Irena’s analysis to 2022. "Turning to renewables for new power generation is not simply an environmentally conscious decision, it is now — overwhelmingly — a smart economic one," Adnan Z. Amin, Irena’s director-general said. "Governments around the world are recognising this potential and forging ahead with low-carbon economic agendas underpinned by renewables-based energy systems. "We expect the transition to gather further momentum, supporting jobs, growth, improved health, national resilience and climate mitigation around the world in 2018 and beyond." Technological improvements, competitive procurement, and a large base of experienced, internationally active developers, have been the three main drivers of cost reduction, Irena stated. Competitive procurement, including auctions, accounts for a small fraction of global renewable energy deployment — but these mechanisms are vital in driving down costs in new markets, Irena concluded. And low prices achieved at auctions — which provide ‘valuable price signals’, according to Irena — suggest costs could fall further, the analysts stated. The lowest auction prices ‘reflect a nearly constant set of key competitiveness factors’, Irena stated. These factors include: ‘a favourable regulatory and institutional framework; low off-take and country risks; a strong; local civil engineering base; favourable taxation regimes; low project development costs; and excellent resources’.